I met him at my first WE Day and I’ve seen him at least a dozen times since then. I have loved every time. He always greets me with a warm hug, tells powerful stories on stage and always inspires the audience. But the next time I see him, at WE Day Vancouver, it is going to be different. It was an incredible answer and I still think about it often. Back then I didn’t understand everyone’s craze about Martin Sheen and The West Wing, the show that he played President Jed Bartlet on. I mean, there were a bunch of TV shows and movies about the White House and this was just one of them. That’s what I thought until recently and now I understand. A couple of months ago I started watching The West Wing. I can honestly say that it is the best show that I have ever seen – the White House Senior Staff is the best team I’ve ever seen and Jed Bartlet (aka Martin Sheen) is the best President. They are people that want to do the right thing. They take the issues personally and recognize that every decision they make, will cost someone something. It is thought-provoking, raw and meaningful. The West Wing gives me hope for the world, so much hope. I understand that it is a show, but it’s like an antidote for all of the awful things that are going on in the world. This year, there have been many times when I have felt helpless with the world events, and then I see this show and I feel motivated and hopeful once again. In an interview about the show, Martin Sheen once said that they created a “parallel universe of possibility.” Like so many things, he says it best. That’s exactly what it is. Something that I love about President Bartlet is that he is passionate and feels things so deeply. He feels sadness, helplessness, empathy, happiness and motivation. He is not only so passionate about many issues from gun violence to discrimination, but he is outspoken and acts on them, speaking out about them and creating laws. 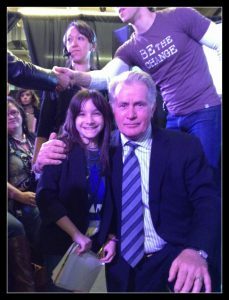 Something that is also very personal to me that I admire about President Bartlet and his team is that he sees and believes in the power of young people. For example, in an episode, there was a group of youth lobbyists who were working to lower the voting age. Not only did the Communications Director Toby Ziegler (played by Richard Schiff) take the time to sit down with the youth and listen to their voice, but President Bartlet listened too. Everything that I have said about President Bartlet is the same for Martin Sheen. He is outspoken, raw, not afraid to stand up for issues that he cares about and is everything that President Bartlet is. I recently watched an interview where Martin Sheen shared what he loved most about Jed Bartlett and he said, “his heart.” Me too. So this time when I see him take to the WE Day stage in Vancouver next week, it’s going to be different for me. At least once in every episode of The West Wing something happens that makes me wish I could give him a hug. I can’t wait to do that. PS. I might have something special planned. 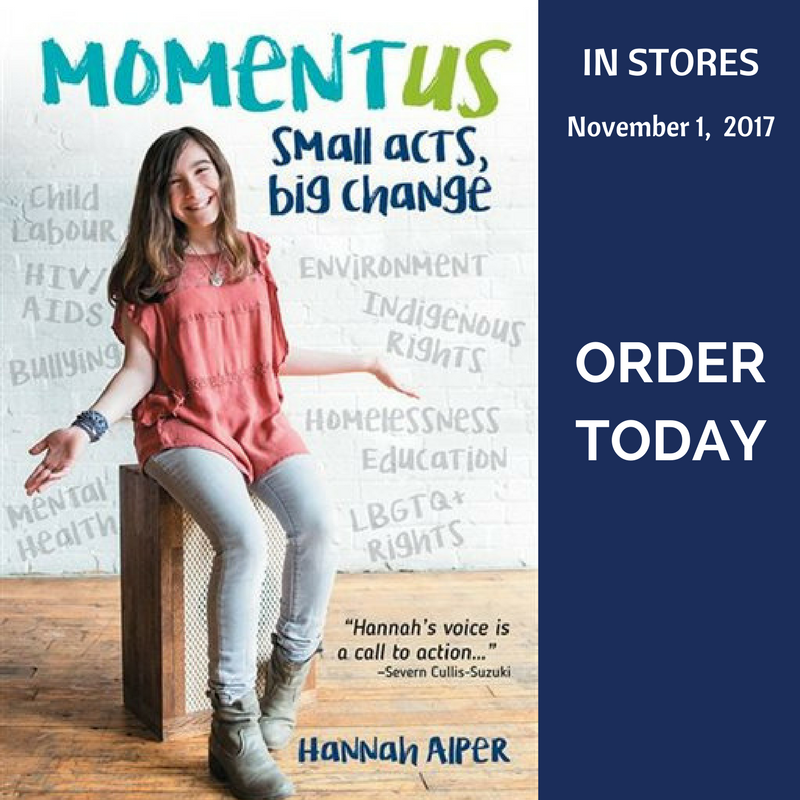 Loved seeing you at we day today you were so inspirational it blew my mind and I have followed your blog litteraly since you started it and it inspires me to make a change in the world it helps me now that anyone single person can change the world and you are the one who showed me that. Thanks for the post. As soon as I’m done my school work I will watch The West Wing.hahaha. Hi Hannah. I was over visiting a friend last night and heard the interview you did with the CBC. Unfortunately there was some sort of technical issue so it was cut short. So this morning I made a point of finding your blog. It is people like you that inspire me to keep blogging, keep talking, keep trying to make some sort of difference, even little ripples. Thank you for reminding me of that.